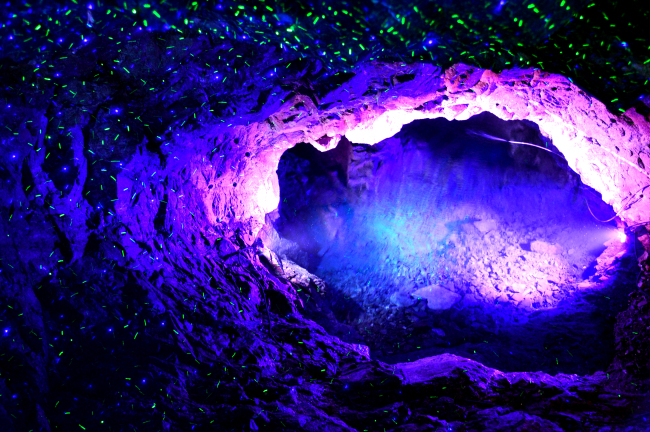 Light of various colors from gold to different shades of blue fills a 7.8-kilometer man-made cave located some 12 kilometers southwest of Seoul. 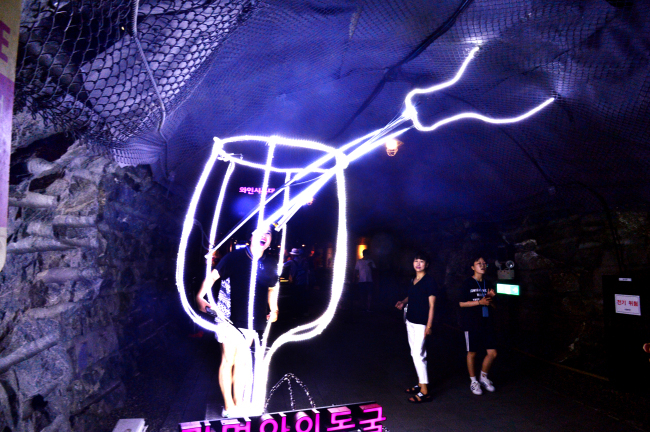 The dazzling beams from light-emitting diodes, coupled with an indoor temperature of around 12 degrees Celsius throughout the year, make Gwangmyeong Cave an ideal shelter from the notorious heat this summer. 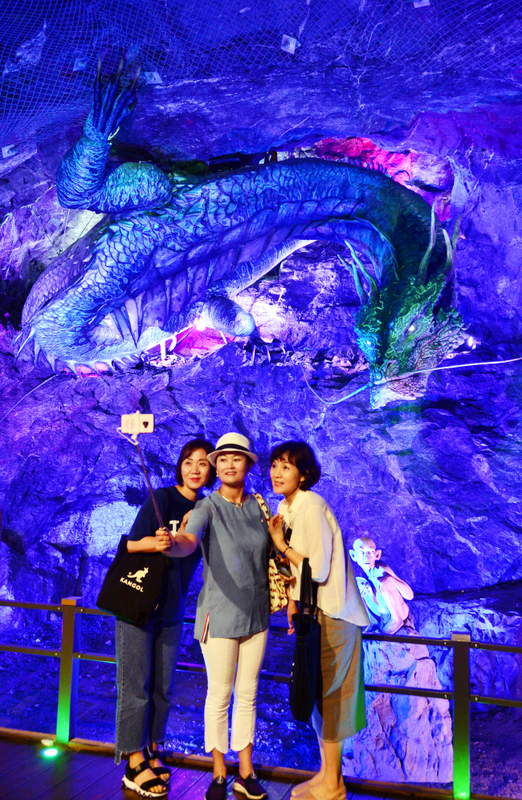 Opened to the public since 2011, the suburban theme park features the nation’s largest 41-meter dragon sculpture, a 194-meter wine cave with a tasting bar and stage performances. 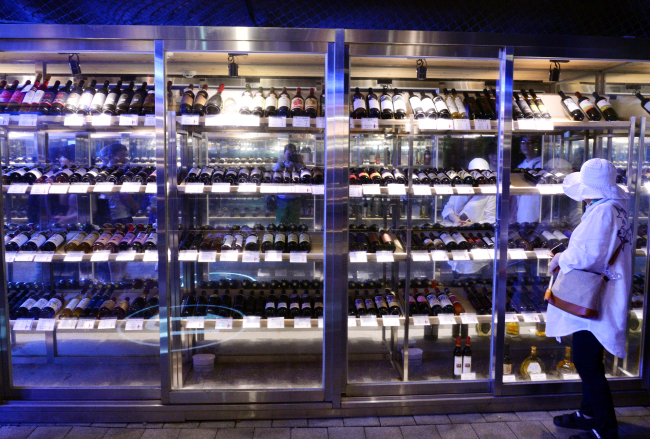 But history remains dim in the cave made more than a century ago with forced labor. 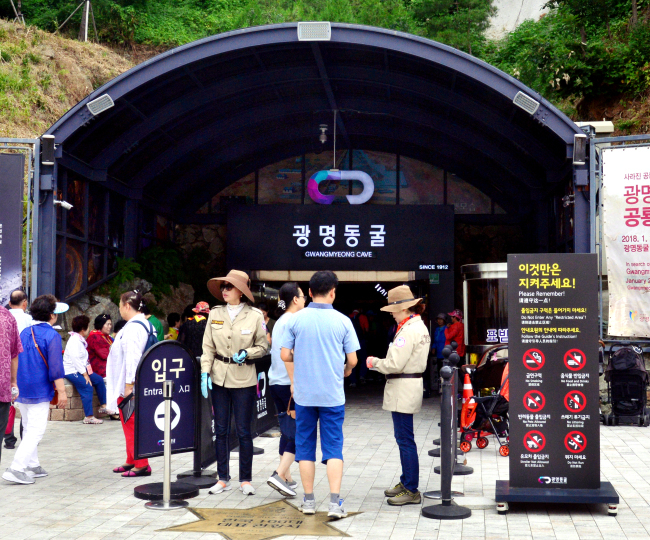 After Japan ended the Joseon era in 1910 and colonized the Korean Peninsula, the rulers began to exploit a mine inside the mountain called Gahaksan to produce gold, silver, copper, zinc and other minerals in 1912. 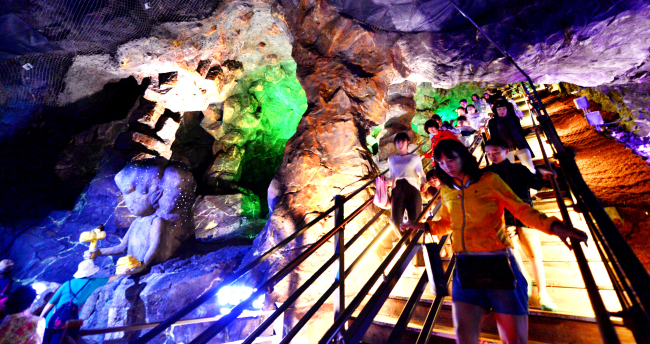 Even after the end of Japanese rule, the Gahak Mine Cave produced some 52 kilograms of gold from 1955 to 1972. 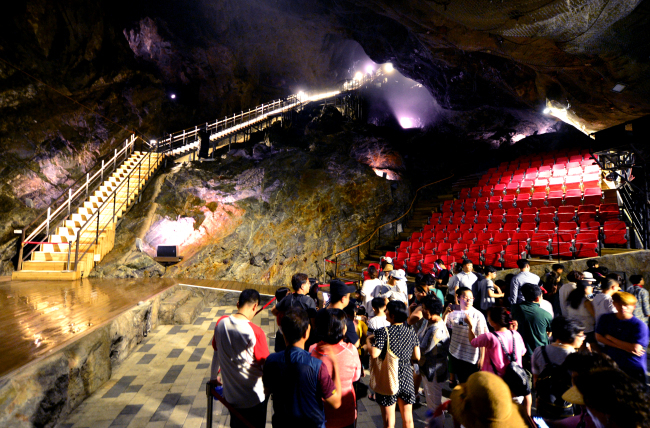 Despite 19,000 tons of minerals buried inside Gahaksan, the mine faced immediate shutdown after it was inundated due to floods in 1972 and polluted rice paddies nearby. 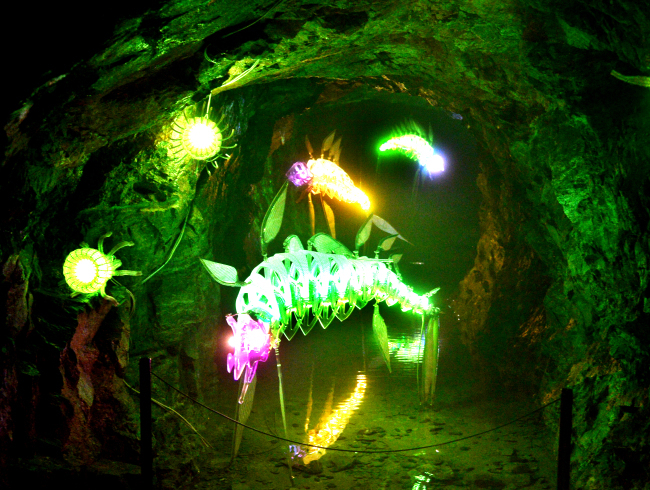 The man-made cave reopened as a storage facility for salted shrimp from 1978 to 2010, until the Gwangmyeong City Government purchased the land to renovate the area into a theme park and cherish its historical and cultural value.